Pray for Hallvarr's soul, the husbandsman in Agnabó/Angelbos, who lies hereunder. 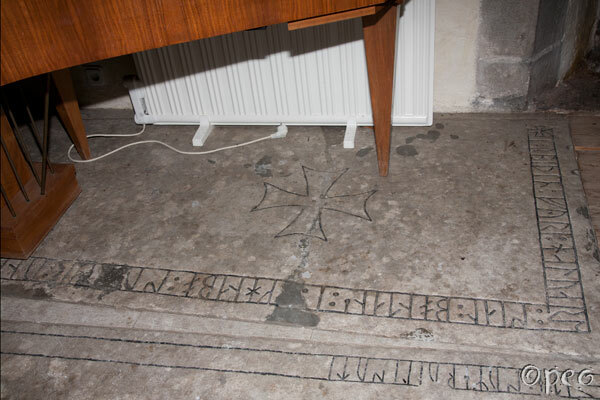 A piano is standing on this runic grave slab in Othem church. Pray to God for Nikulás of Klinti/Klints' soul, who lies out here. 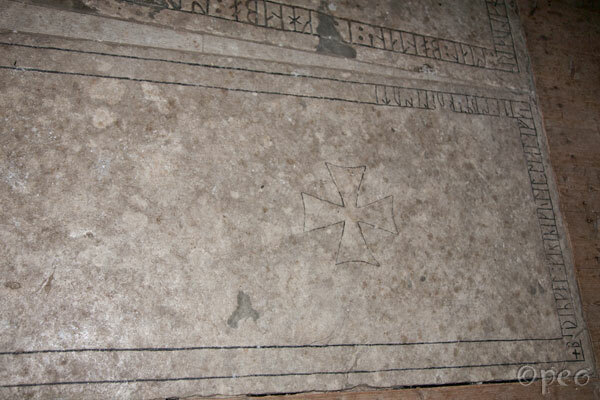 As you can see these grave slabs are lying side by side on the floor.